Is it possible to use a particle beam to push a sail to interstellar velocities? Back in the spring I looked at aerospace engineer Alan Mole’s ideas on the subject (see Interstellar Probe: The 1 KG Mission and the posts immediately following). Mole had described a one-kilogram interstellar payload delivered by particle beam in a paper in JBIS, and told Centauri Dreams that he was looking for an expert to produce cost estimates for the necessary beam generator. Jim Benford, CEO of Microwave Sciences, took up the challenge, with results that call interstellar missions into doubt while highlighting what may become a robust interplanetary technology. Benford’s analysis, to be submitted in somewhat different form to JBIS, follows. Alan Mole and Dana Andrews have described light interstellar probes accelerated by a neutral particle beam. I’ve looked into whether that particle beam can be generated with the required properties. I find that unavoidable beam divergence, caused by the neutralization process, makes the beam spot size much larger than the sail diameter. While the neutral beam driven method can’t reach interstellar speeds, fast interplanetary missions are more credible, enabling fast travel of small payloads around the Solar System. Dana Andrews proposed propulsion of an interstellar probe by a neutral particle beam and Alan Mole later proposed using it to propel a lightweight probe of 1 kg [1,2] The probe is accelerated to 0.1 c at 1,000 g by a neutral particle beam of power 300 GW, with 16 kA current, 18.8 MeV per particle. The particle beam intercepts a spacecraft that is a magsail: payload and structure encircled by a magnetic loop. The loop magnetic field deflects the particle beam around it, imparting momentum to the sail, and it accelerates. Intense particle beams have been studied for 50 years. One of the key features is that the intense electric and magnetic fields required to generate such beams determine many features of the beam and whether it can propagate at all. For example, intense charged beams injected into a vacuum would explode. Intense magnetic fields can make beam particles ‘pinch’ toward the axis and even reverse their trajectories and go backwards. Managing these intense fields is a great deal of the art of using intense beams. In particular, a key feature of such intense beams is the transverse velocity of beam particles. Even though the bulk of the energy propagates in the axial direction, there are always transverse motions caused by the means of generation of beams. For example, most beams are created in a diode and the self-fields in that diode produce some transverse energy. Therefore one cannot simply assume that there is a divergence-less beam. Just what are a microradian and nanoradian? A beam from Earth to the moon with microradian divergence would hit the moon with a spot size of about 400 m. For a nanoradian it would be a very small 0.4 m, which is about 15 inches. One method of getting a neutral particle beam might be to generate separate ion and electron beams and combine them. But two nearby charged beams would need to be propagated on magnetic field lines or they would simply explode due to the electrostatic force. If they are propagating parallel to each other along magnetic field lines, they will interact through their currents as well as their charges. The two beams will experience a JxB force, which causes them to spiral about each other. This produces substantial transverse motion before they merge. This example shows why the intense fields of particle beams create beam divergence no matter how carefully one can design them. But what about divergence of neutral particle beams? 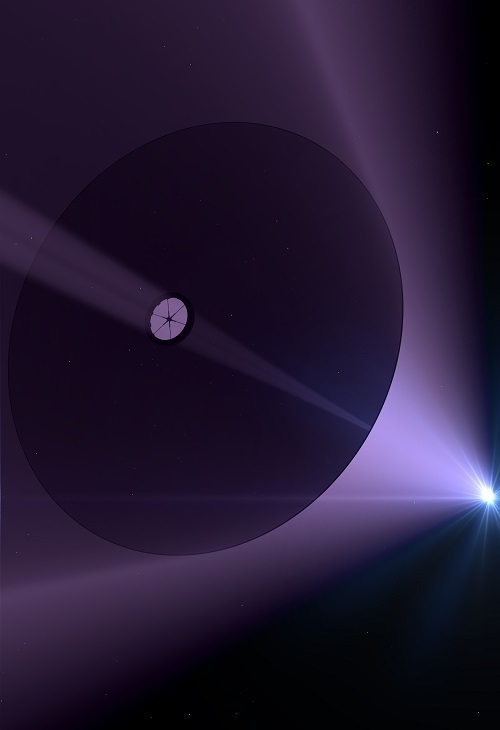 Image: A beamed sail mission as visualized by the artist Adrian Mann. The divergence angle of a neutral beam is determined by three factors. First, the acceleration process can give the ions a slight transverse motion as well as propelling them forward. Second, focusing magnets bend low-energy ions more than high-energy ions, so slight differences in energy among the accelerated ions lead to divergence (unless compensated by more complicated bending systems). Although the first two causes of divergence can in principle be reduced, the last source of divergence is unavoidable. In calculations I will submit to JBIS, the divergence angle introduced by stripping electrons from a beam of negative ions to produce a neutral beam, giving the resulting atom a sideways motion, produces a fundamental divergence. It’s a product of two ratios, both of them small: a ratio of particle masses (≤10-3) and a ratio of neutralization energy to beam particle energy (≤10-7 for interstellar missions). Divergence is small, typically 10 microradians, but far larger than the nanoradians assumed by Andrews and Mole. Furthermore, the divergence is equal to the square root of the two ratios, making it insensitive to changes in ion mass and ionization energy. In Alan Mole’s example, the beam velocity is highest at the end of acceleration, 0.2 c, twice the ship final velocity. Particle energy for neutral hydrogen is 18.8 MeV. The energy imparted to the electron to drive it out of the beam, resulting in a neutral, is 0.7 eV for hydrogen. Evaluation of Eq. 3 gives beam divergence of 4.5 microradians. This agrees with experimental data from the Strategic Defense Initiative, SDI. The observed divergence of a 100 MeV neutral beam as 3.6 microradians; for a Triton beam (atomic weight 3), 2 microradians. The beam size at the end of acceleration will be 411 km. Alan Mole’s magnetic hoop is 270 m in diameter. Therefore the ratio of the area of the beam to the area of the sail is 2.3 106. Only a small fraction of the beam impinges on the spacecraft. To reduce the beam divergence, one could use heavier particles but no nucleus is heavy enough to reduce the beam spot size to the sail diameter. 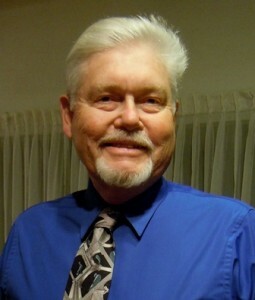 Gerry Nordley has suggested that neutral particle divergence could be reduced by use of laser cooling. This method uses lasers that produce narrowband photons to selectively reduce the transverse velocity component of an atom, so must be precisely tunable. It is typically used in low temperature molecular trapping experiments. The lasers would inject transversely to the beam to reduce divergence. This cooling apparatus would be located right after the beam is cleaned up as it comes out of the injector. They would have substantial powers in order to neutralize the beam as it comes past at a fraction of the speed of light. Consequently, the coupling between the laser beam and the neutral beam is extraordinarily poor, about 10-5 of the laser beam. This highly inefficient means of limiting divergence is impractical. Beam divergence limits the possibilities for acceleration to interstellar speeds, but fast interplanetary missions look credible using the neutral beam/magsail concept. That enables fast transit to the planets. Given that the beam divergence is fundamentally limited to microradians, I used that constraint to make rough examples of missions. A neutral beam accelerates a sail, after which it coasts to its target, where a similar system decelerates it to its final destination. Typically the accelerator would be in high Earth orbit, perhaps at a Lagrange point. The decelerating system is in a similar location about another planet such as Mars or Saturn. From the equations of motion, To get a feeling for the quantities, here are the parameters of missions with sail probes with microradian divergence and increasing acceleration, driven by increasingly powerful beams. The first column shows a fast interplanetary probe, with high interplanetary-scale velocity, acceleration 100 m/sec2, 10 gees, which a nonhuman cargo can sustain. Time required to reach this velocity is 27 minutes, at which time the sail has flown to 135,000 km. The power required for the accelerator is 24GW. If the particle energy is 50MeV, well within state-of-the-art, then the required current is 490A. How long would an interplanetary trip take? If we take the average distance to Mars as 1.5 AU, the probe will be there in 8.7 days. Therefore this qualifies as a Mars Fast Track accelerator. An advanced probe, at 100 gees acceleration, requires 0.78 TW power and the current is 15 kA. It takes only 34 hours to reach Mars. At such speeds the outer solar system is accessible in a matter of weeks. For example, Saturn can be reached by a direct ascent in the time as short as 43 days. A very advanced probe, an Interstellar Precursor, at 1000 gees acceleration, reaches 0.8% of light speed. It has a power requirement 34 TW and the current is 676 kA. It takes only 8 hours to reach Mars. At such speeds the outer solar system is accessible in a matter of days. For example, Saturn can be reached by a direct ascent in the time as short as a day. The Oort Cloud at 2,000 AU, can be reached in 6 years. The rough concepts that have been developed by Andrews, Mole and myself show that neutral beam-driven magnetic sails deserve more attention. But the simple mission scenarios described in the literature to date don’t come to grips with many of the realities. In particular, the efficiency of momentum transfer to the sail should be modeled accurately. Credible concepts for the construction of the sail itself, and especially including the mass of the superconducting hoop, should be assembled. As addressed above, concepts for using laser cooling to reduce divergence are not promising but should be looked into further. A key missing element is that there is no conceptual design for the beam generator itself. Neutral beam generators thus far have been charged particle beam generators with a last stage for neutralization of the charge. As I have shown, this neutralization process produces a fundamentally limiting divergence. Neutral particle beam generators so far have been operated in pulsed mode of at most a microsecond with pulse power equipment at high voltage. Going to continuous beams, which would be necessary for the minutes of beam operation that are required as a minimum for useful missions, would require rethinking the construction and operation of the generator. The average power requirement is quite high, and any adequate cost estimate would have to include substantial prime power and pulsed power (voltage multiplication) equipment, a major cost item in the system. It will vastly exceed the cost of the magnetic sails. The Fast Interplanetary example in table 1 requires 24 GW power for 27 minutes, which is an energy of 11 MW-hours. This is within today’s capability. The Three Gorges dam produces 225 GW, giving 92 TWhr. The other two examples cannot be powered directly off the grid today. So the energy would be stored prior to launch, and such storage, perhaps in superconducting magnets, would be massive. Furthermore, if it were to be space-based the heavy mass of the high average power required would mean a substantial mass System in orbit. The concept needs economic analysis to see what the cost optimum would actually be. Such analysis would take into account the economies of scale of a large system as well as the cost to launch into space. We can see that there is in Table 1 an implied development path: a System starts with lower speed, lower mass sails for faster missions in the inner solar system. The neutral beam driver grows as technology improves. Economies of scale lead to faster missions with larger payloads. As interplanetary commerce begins to develop, these factors can be very important to making commerce operate efficiently, counteracting the long transit times between the planets and asteroids. The System evolves. We’re now talking about matters in the 22nd and 23rd centuries. On this time scale, neutral beam-driven sails can address interstellar precursor missions and interstellar itself from the standpoint of a much more advanced beam divergence technology than we have today. Dana Andrews, “Cost Considerations for Interstellar Missions”, Acta Astronautica, 34, pp. 357-365, 1994. Ashton Carter, Directed Energy Missile Defense in Space–A Background Paper, Office of Technology Assessment, OTA-BP-ISC-26, 1984. G. A. Landis, “Interstellar Flight by Particle Beam”, Acta Astronautica, 55, pp. 931-934, 2004. G. Nordley, “Jupiter Station Transport By Particle Beam Propulsion”, NASA/OAC, 1994. And http://en.wikipedia.org/wiki/Laser_cooling. And how the launch station will stay put in space ? You know the old law of action and reaction . . . The launch station may have photovoltaic thrusters to maintain stability. Another option is use of negative electromagnetic refractive index pull sails along with reflective members for fine adjustment processes. Still another option would include fission reactor powered ion rockets, fission fragment drive, and/or nuclear fusion energy applications. I’m always fascinated about the beam sails concepts, there’s only one point i see missing there, i see great focus on interplanetary and outer solar system, but to achieve that we should start very small, i wonder how lower the requirements should be to focus on a Earth’s orbit probe, Moon probe and a Mars probe (with lower velocity, just to reach it in like 1 to 3 months). Excellent post. I love the idea of the fast interplanetary travel by beams, but I am very skeptical that the economics will work. The masses of the beam generators and power supply, that have to be created at both ends of the journey suggest to me that this approach will only make sense in a much richer, mature solar-system economy (Greg suggests C22nd/23rd). In the short term, beamed em or electric sails are going to be much more economic and able to do exploration without deceleration systems at the destination. One question I have is whether beams or pellets make more sense. Accelerating self guiding pellets (or microsails) may be easier and more energy efficient than collimated particles. What are the tradeoffs? Alex, I’m not sure about Greg Benford’s timing on the system-wide economy — let me clarify that with Jim. Or did you mean Jim when you said ‘Greg’? A significant unknown is whether an artificial magnetosphere would expand as the beam pressure falls off, thus compensating for the divergence. If so, then the next issue is beam wander due to the solar wind’s embedded magnetic field. …And yet, with particle beams being able to explode in a vacuum, I couldn’t keep one word from popping up in my head while reading this rather excellent piece: “Phasers”. @Paul – yes, I meant Jim. I was referring to his : “(…) talking about matters in the 22nd and 23rd centuries. which I think refers to the highest power systems. We’ve been talking about possible star ships (or at least probes) by then. So… that means, currently, with regard to neutral particle beam divergence, as practical concept for interstellar propulsion it seems lasers would be more suitable, even though less efficient than a magsail, right? What if, instead of one big neutral particle beam, a pattern of multiple smaller beams were used on the sail? Wouldn’t that reduce divergence? 1. Could one design a system for focusing sunlight directly, rather than going through the laser stage? 2. From an economics point of view, how much it would cost to maintain a laser facility on Mercury, for example. Assuming the initial investment will be absorbed over time. 4. How about a particle accelerator accelerating the probe itself? 5. Why not accelerate macroscopic particles, which will not diverge, rather than atomic particle? Good article and comments. As it turns out I’m in the process of updated the 1994 paper for this year’s IAF in Toronto. I am currently not collocated with my file cabinet, but as I remember the beams in the 1994 were not neutralized by electrons, but were equal numbers of positive and negative hydrogen atoms, so the overall flow charge was neutral. The idea was to have very tight tolerances on hydrogen atom selection in the first stage of acceleration, so that atoms with any transverse velocity were eliminated before they were accelerated to high velocity. Maybe inefficient, but you could insure a high accuracy beam. Problem was charge separation in any transverse magnetic field. That was hand waved away by only launching when the magnetic fields embedded in the solar wind were aligned with the launch direction. If the beam were neutralized you had the loss of accuracy caused by the neutralization process, and the problem of re-ionizing as the neutral hydrogen approached the Magsail. A laser capable of re-ionizing hydrogen needs a wavelength less than 100 nanometers, beyond the capability of excimer lasers. There may be something available now, but I’m not aware of it. I might be missing something but how does the neutral particle beam interact with a magnetic field? Unless like a plasma, it’s over all neutral but the charges are separate? The beam divergence of a charged beam can be reduced significantly by increasing its velocity into the ultra-relativistic realm. Just think of a stream of atoms in a line a set distance apart, the faster they go the less you need for the same momentum, so you can have a greater distance between them which reduces the forces that would causes divergence to the square. They would explode in slow motion to the stationary observer, the explosion would be slow down by gamma in the relativistic realm. And you don’t need to just use hydrogen atoms, very heavy nuclei would diverge less than lighter ones but use more energy. Particle beams are quite efficient. They are to heavy, best leave the fuel and engines behind . They don’t scale down well at all! We could use another beam that pushes out the other side ‘counter momentum’ to propel another probe or a solar focus probe for communication’s or target star observation pre-probe star system entry, the latter would give us more time to control the target star probes observation targets. For an initially-collimated ultra-relativistic neutral beam, wouldn’t the time dilation effect act to significantly slow the divergence of particles as they became re-ionized? The transverse repulsion is occurring in a reference frame where the ion’s mass is augmented and passage of time has slowed down significantly. So one might expect that inertia resisting the divergence would be high and transverse acceleration would be low. So ultra-relatavistic effects would seem to act against divergence due to re-ionization. As there is no transverse Lorentz contraction, the divergence — as seen in the local/earth reference frame — should then be the same magnitude as in the ultra-relatavistic ion reference frame — and the divergence observed from both frames would be minimal. Not sure how the influence of the solar magnetic field will affect the ultra-relatavistic ‘neutral’ beam initially composed of equal + and – ions, as the the accelerated ions and the currents causing the magnetic field are in very different reference frames. I think the increased inertia of the fast ions again would lessen the influence of the solar magnetic field. While relativistic considerations do not impact Mr Benford’s analysis of the divergence due to neutralization electron stripping, it would be interesting to know if Lorentz effects for an ultra-relativistic beam have been considered for any alternative approaches involving “neutral” balanced ion beams. At high velocities neutral particles can be stripped of electrons when moving through a magnetic field, however I can’t see the field been powerful enough to cause ionisation in all but a tightly wound coil which would then be to small. This type of craft will need an on-board ioniser so that it could interact with the magnetic field. Perhaps some gas that has been slowed down at the craft could be used to ionise the incoming gas by collisional excitation. Cooling ionised atoms, using fewer of them and pushing them to ultra relativistic velocities in a particle accelerator will go a good way to reduce divergence of the beam. I have said before and I will say again particle beams are the way to go. As for the interaction with the solar magnetic field it is very weak and will have a small effect on the beam, launching probes in the solar pole directions where the fields will be more or less parallel would reduce the effect. Okay, seems reasonable, but is that a feasible option? I know it works in particle accelerators, but i am not that sure if it would work for a large scale beam, or, to reformulate that, how that would affect the beam technology. Another thing i stumbled upon, whilst reading up on beamed propulsion variants was Alexander Bolonkin’s Beamed Space Propulsion paper. He suggests a self-focusing cold plasma beam (and a ramjet for flying against the beam current for return). Would self focusing beams be an option? I am not an expert but it seems there are a few options left for exploration. I am not so sure. Leaving behind the drive seems like an excellent idea efficiency wise. Leaving behind missiles for low-orbit launches as well. The issue is speed (and thus mass). With a purely solar driven sail, as Ikaros from JAXXA demonstrated, is a very cheap solution if you got the time. …the system can also double as deep space communication solution, asteroid defense, external power generator or interplanetary mining device aside of being simply a space propulsion system. That are all things we want to do in the not-so-far future and its one system that can do it all. I think its the most rational course of action. New solutions to long range (interstellar) beaming will become apparent once we start employing it for interplanetary space… manipulation. Having such a system in place (which can be considerably smaller for interplanetary purposes) basically means we don’t need to worry about propulsion systems or lifetime of power generators for interplanetary purposes… ever again. Just think about how much probes we built and which are now dead in the water because either the power systems are exhausted or the fuel is used up. Now imagine how much money we can save if we could keep them operational until critical system failure, which is exactly what the technology offers. Probes being built would STAY in service, not to be discarded after maybe one to three missions. If something interesting arises you simply contact the nearest operational probe and send it to investigate. It won’t need fuel anymore. That would have to be an incredibly strong and high flux magnetic field. I’m wondering if the craft had a powerful enough laser to ionize the incoming neutral beam, that may work, but of course we are adding considerably weight and energy requirements that it may negate the usefulness of a neutral particle beam propulsion. @swage. Exactly. It is like powering appliances from the electric grid rather than each machine have its own generator. Beamed energy can be used for propulsion in a host of ways, and a mature system should mean that it is cheaper to buy the needed power for transient use. As with the electric grid, sometimes it is also better/cheaper to be off-the-grid, e.g. probes in other solar systems. Some thought ought to be going into beamed power infrastructure design and how it might facilitate space development. If we used beamed launchers in space we could use the enormous amount of free energy from the sun and any waste heat from the beam generators to heat the space stations habitat space. I see our expansion into space on these beams of matter from orbiting space colonies. The big thing about particle accelerators is that we can fire anything that can be ionised or hold a charge, that includes living cells. We could transmit radioactive isotopes for the crafts power systems as they run low, the list is endless, much better than lasers in my opinion. And they are almost as fast, the LHC has protons going 0.999999991 c, that is less than 3 m distance behind light after 1 second. A reusable launch system that uses 24GW seems pretty exciting. If it could make 1 launch per day, then in the course of a year it could launch hundreds of probes towards the sun’s foci point. We could peer in depth into hundred of stars, or thousands if we operated it for a decade. It would certainly enhance our knowledge of the closer stars. Of course it would still take close to 20 years for those probes to get into place, but it beats anything we got now. Being identical other than programming for them to look in a specific direction, even the probes could be mass produced to cut cost. Heck, launch several in each direction in case of mishaps. The big thing about particle accelerators is that we can fire anything that can be ionised or hold a charge, that includes living cells. Not true. The thing about particle accelerators is that they work only on charged particles and ions. Nothing else has a suitable charge/mass ratio, in magnitude or precision. No, that’s true. Particle accelerators are optimized for charged particles and ions, but anything that can carry a charge can be accelerated by an electric field. Mind, there are substantial advantages to particles which can be guaranteed to have a specific charge to mass ratio, because they can be efficiently handled. But there’s no real reason you couldn’t accelerate a beam of macro-molecules, maybe C80, or something of that sort. Not so great if you’re attempting to get them to ultra-relativistic speeds, but it might be superior for moderate speeds. Correct, but charge mass ratios of anything other than ions and particles are many, many orders of magnitude smaller. This translates directly into vastly diminished performance for such hypothetical “dust-accelerators”. Mind, there are substantial advantages to particles which can be guaranteed to have a specific charge to mass ratio, because they can be efficiently handled. It goes far beyond “substantial advantages”. All beam management, acceleration, focusing, etc. techniques in accelerators rely completely on the particles having a uniform and unique charge/mass ratio. They would simply not work at all when there is a spread, no matter how tight. This is a even far more prohibitive problem than the one above. So, sorry, but I have to emphatically repeat: Not true. You could probably get away with C80, at only a few hundred-fold decreased performance, if you could manage to create a substantial and stable population with a given integral charge. C80, after all, is still a single molecule with a precisely defined number of atoms. Keeping it at constant charge, though, and free of extra atoms sticking to it, would be a huge challenge. Note that charge macromolecules (such as C80) do indeed qualify as ions. Dust grains or living cells do not, and would certainly not work with anything even remotely resembling a particle accelerator.